Ivan Buffa, who is considered one of the leading classical music artists in Slovakia, has been the artistic director of Quasars Ensemble since 2008. He studied piano and composition in Bratislava and in Viennaat Universität für Musik und darstellende Kunst, taught by Prof. Michael Jarrell. His works have already been heard at many festivals such as Wien Modern, Takefu International Music Festival, Tage der Neuen Musik Bamberg, Ostrava Days, Muzički Biennale Zagreb, ISCM World Music Days 2015 in Ljublana, Melos-Ethos Bratislava and others. In 2007, Ivan Buffa has been awarded the Ján Levoslav Bella prize for his composition titled “Ritual“, which was performed at the Aspekte Festival in Salzburg, Austria. As a conductor and a pianist, he recorded ten CDs containing 20th century music and presented more than 100 Slovak pieces. 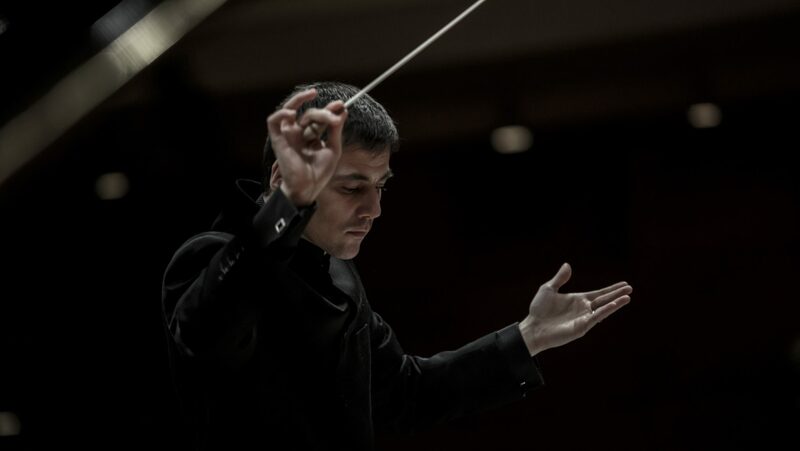 As a conductor, he has a wide repertoire, ranging from late romanticism throughout impressionism, neoclassicism, expressionism, post-war avant-garde to the recent works. Apart from performing with all the state chamber orchestras in Slovakia, he also cooperated with Bamberg Symphony. Ivan Buffa is the Head of the Association of Slovak Composers and a member of numerous festival committees. He also teaches compositionat The Academy of Performing Arts in Bratislava.